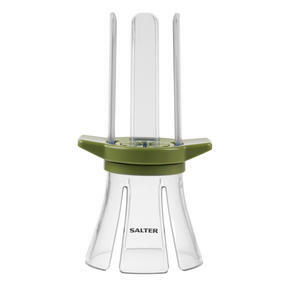 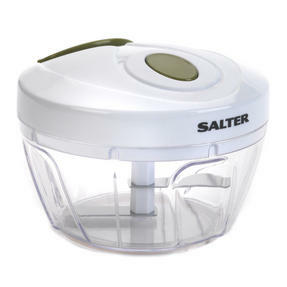 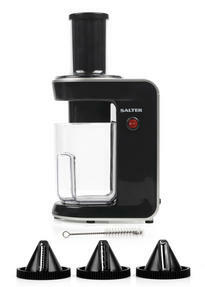 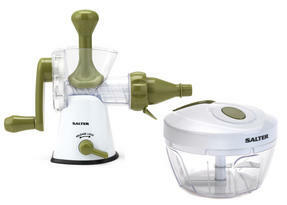 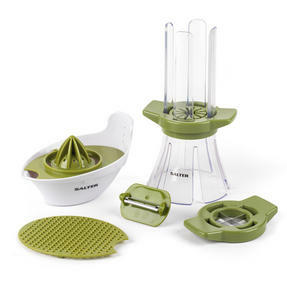 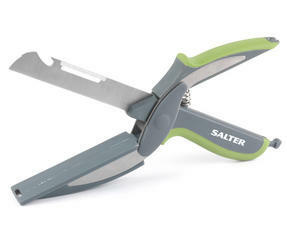 Enjoy easier food preparation with this three piece Salter preparation set featuring a mini chopper, a handheld spiralizer and an avocado tool. 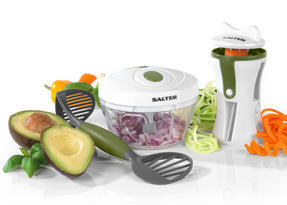 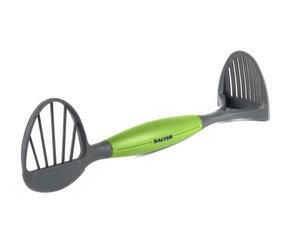 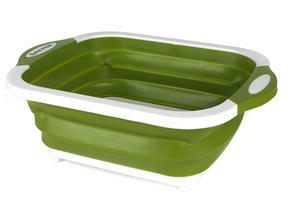 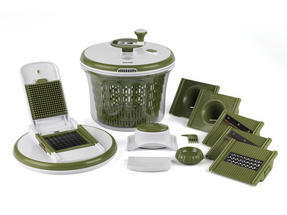 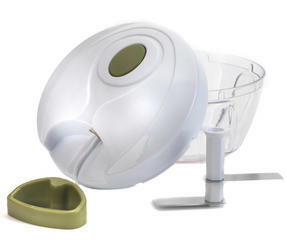 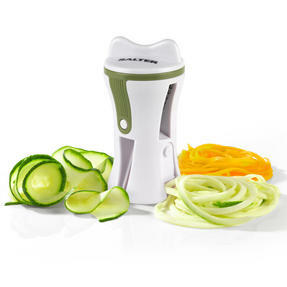 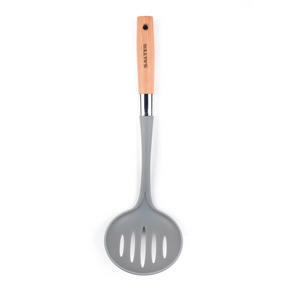 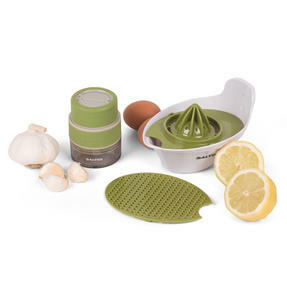 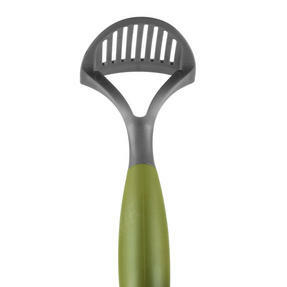 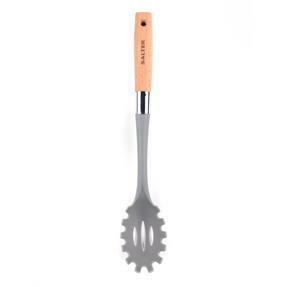 The mini chopper has a pull cord design and is ideal for chopping fruit and vegetables with no mess, the avocado tool is perfect for halving, scooping, slicing and mashing your avocado to prepare healthy dishes at home, while the handheld spiralizer has 3 interchangeable blades for different spiral textures and sizes so you can make tasty courgetti. 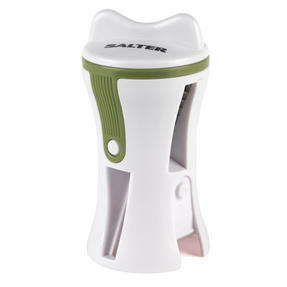 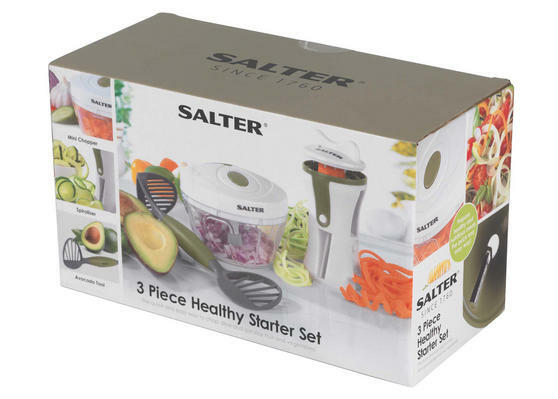 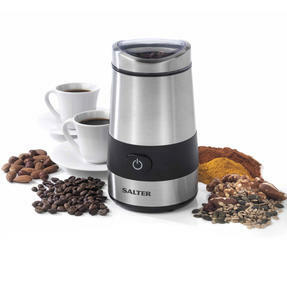 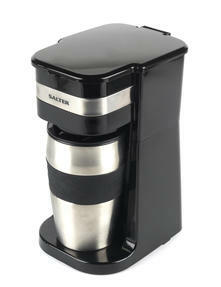 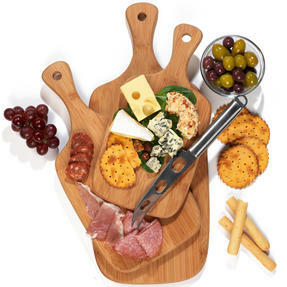 Prepare fruit and vegetables efficiently and pack more nutrients into your diet with this three piece Salter Healthy Starter Set. 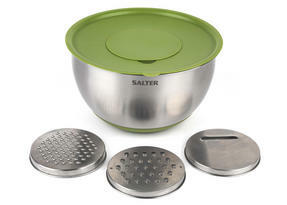 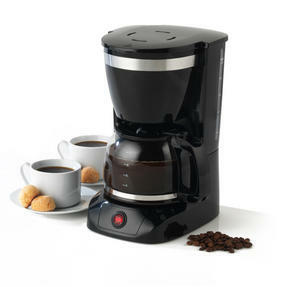 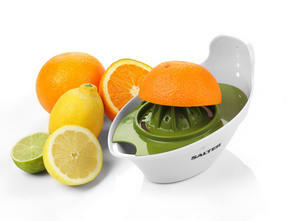 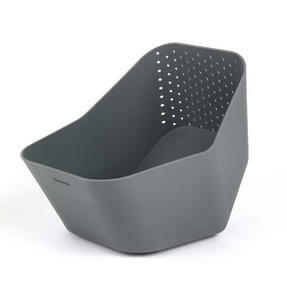 Place onions, peppers, celery and more into the mini chopper bowl and use the pull cord to operate the stainless steel blades. 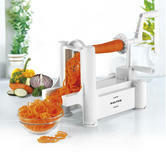 The spiralizer is brilliantly easy to use – simply twist carrots, courgette, and cucumber to create beautiful spirals in seconds. Using the avocado tool with a non-slip grip handle, you can halve, scoop, slice and mash your avocados with safety and precision. 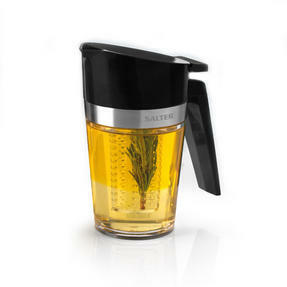 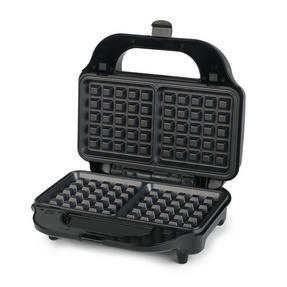 Cleverly designed, this preparation set is compact, convenient, simple to use and easy to clean so you can enjoy healthy eating.